This can happen a lot. Here are a few ways to make sure this does not happen, or it happens infrequently. 2) Make sure that your patient gets quarterly statements from your office showing what their balance owed to you amounts to. 3) With quarterly statements, make sure you ask patient that “if they have any questions or concerns with the bill to call.” This way, at the end of the case, everyone knew and agreed with charges. 4) If you take a patient on a lien, you have to make sure the attorney for your patient understands what the injuries are. The attorney should ask for a expert narrative BEFORE settling a case. Being asked to severely cut your fees, in my opinion is disrespectful. I am treating at 100% honesty and my care is worth full price. 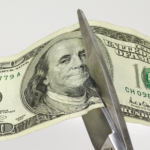 IF you are asked, be sure to ask both the attorney and your patient how much the attorney is cutting their fees.